Here is a great experience that comes with some free points! Today when we updated some new offers on our Stash Rewards Bonus Points page one of those offers stuck out. 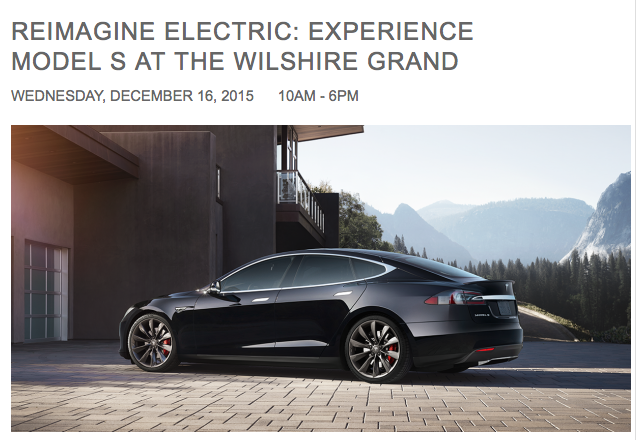 That was an offer for Triple Points for stays at the Wilshire Grand Hotel for the first three weeks of December but there was also a note of 500 points for test driving a Tesla at the hotel on December 16th. So we reached out to Stash who connected us to the Wilshire Grand as we wanted to know if a stay was required to earn the test drive bonus. Stash Hotel Rewards with FrequentFlyerBonuses.com exclusive link.